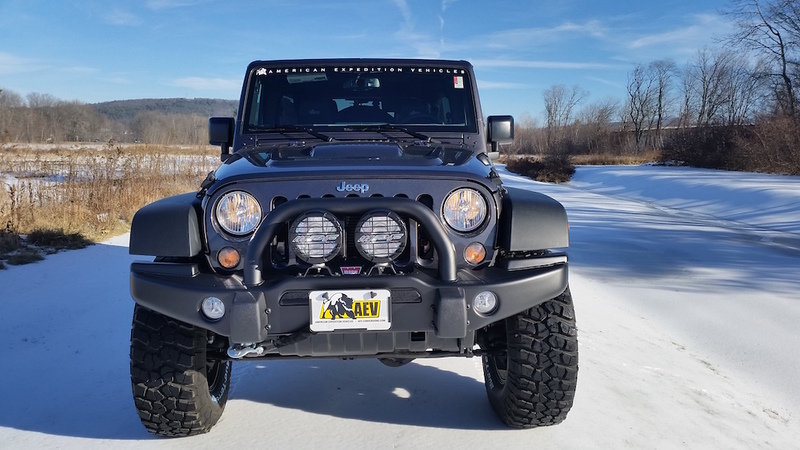 If there’s one thing that Keene CDJR does best – apart from connecting Jeep lovers with their next great ride – it’s working custom lift packages onto your beloved Jeep Wrangler. 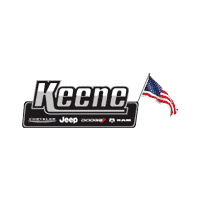 Those who know the vehicle know that there’s nothing quite like the raw power and earth-conquering capabilities found in a quality lifted Jeep, and for Jeepers in New England there’s simply no better spot to give your Jeep that special treatment quite like Keene CDJR. That’s because the talented team of mechanics here in Keene have a long history of taking on some major builds and producing a wide array of truly show-topping Jeep Wrangler Lift Kits. With plenty of experience and a passion for upgrading and perfecting the art of the Jeep, the team at Keene CDJR is more than ready to turn your Wrangler into a boosted, upgraded, and trail-ready machine that’s a guaranteed to turn heads as it is to conquer mountain tops. Here’s a look at some of the most impressive lift jobs to come out of Keene CDJR in the recent past, and a good sneak peek at what kind of top-quality service you can expect for your soon-to-be-lifted Jeep Wrangler. This beefed-up Wrangler Unlimited Rubicon is no joke when it comes to powerful performance thanks to the American Expedition Vehicles (AEV) JK-350 package, which packs a show-stopping 6.4-liter HEMI engine pushing out up to 485 horsepower and a whopping 260 lb.-ft of torque for total rock-ready capabilities. Four-wheel drive capabilities, 4:10 gears, an automatic transmission, and the refined 6-cylinder engine all help provide sporty performance that’s just as good on the highway as it is in the mud, while additional amenities like splash guards, Rear Corner guards, and a fuel caddy let you take on the toughest trails without fear of cramping your Jeep’s distinctive style. But part of what makes this build so special is the attention to comfort and detail on the inside, packing in everything from a remote starter to Automatic Temperature control, all housed under a classy hard top cover. Plus, with tech improvements like the Connectivity Group, featuring a 6.5-inch color touchscreen and Bluetooth connectivity with voice command, a navigation system, and a rear vision camera to make even those tight parking spaces a total breeze. If there’s anywhere to take cues from regarding how you should upgrade your Wrangler Unlimited, take notes – this build serves as a pretty excellent example. If there’s a Jeeper out there who literally cannot be satisfied with anything less than the best, boldest, and most in-your-face lifted and upgraded Jeeps out there, then the AEV Wrangler Brute Double Cab Rubicon is exactly the model for you. Featuring Keene CDJR’s fiercely distinctive Brute Double Cab upgrade as well as an AEV lift package, this model is a serious force to be reckoned with out on the road – and beastly treat for anyone lucky enough to be behind the wheel. Any adventurous traveller looking for a veritable castle to keep on the road will be more than thrilled with the Brute Double Cab, whiches stretches the standard Double Cab into a powerful pickup with seating for five, expanded cargo-carrying capacity, and an amazing 7 gallons of water storage integrated into the rear bumper itself – meaning you;ll be able to plan for even greater adventures without sacrificing that precious passenger space. This one-of-a-kind icon of a Jeep is a master tool for everything from hunting and fishing to hauling and towing, all without missing a single beat or sacrificing an ounce of power along the way. Boasting a 3.5-inch AEV suspension lift alongside the AEV Heat Reduction Hood, stamped steel front and rear step bumpers, Warn Zeon winch, front skid plating, high-mounted stop lamp, and a core composite bed with a spray-in bed liner, the Brute Double Cab Rubicon is simply built to be the best of what the true outdoorsman could hope for – and maybe even a little extra. With premium style features like an AEV painted interior hard top, 17-inch Savegre Wheels, and all the AEV badges and logos you could ask for, you’ll be able to ride with total confidence knowing there’s nobody on the road who isn’t floored by your monstrously-impressive AEV-lifted Brute Double Cab Rubicon Wrangler. In the mood for a sporty, off-road ready custom Wrangler that won’t let you down even in the murkiest, muddiest conditions? 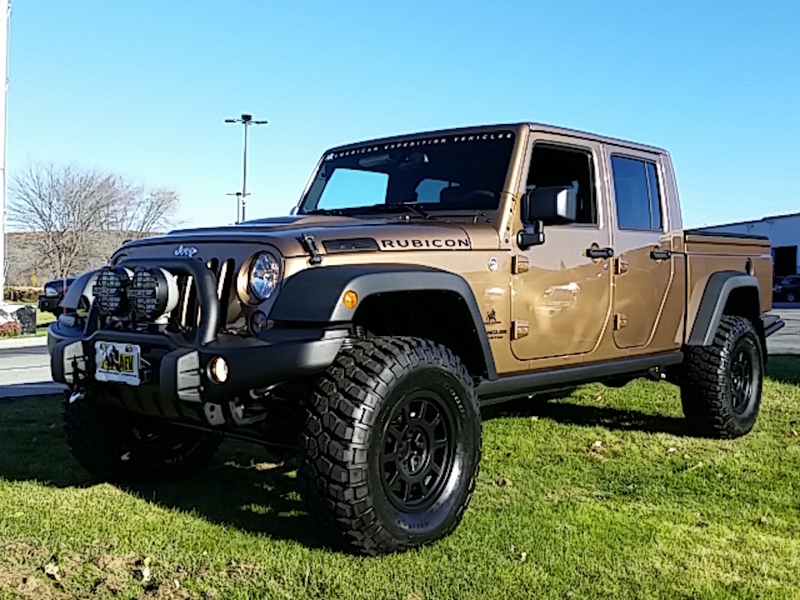 Look no further than the 2015 Jeep AEV Wrangler Unlimited Rubicon from Keene, a seriously sport-ready job that combines all the impressive power of the Wrangler Unlimited Rubicon with the off-road suspension and trail-rated capabilities that an AEV lift package brings to the table. This impressive Wrangler towers over the elements with its AEV 3.5-inch Dualsport SC suspension – giving this Wrangler a ground clearance of around 10.1-inches – complemented by AEV Geometry Correction brackets for safe and easy riding even on the toughest of unpaved trails. Add in the extra protection afforded by a premium front bumper from AEV, a Winch Cover Plate, Off-Road Lights from IPF, an AEV Tire Carrier, Lug Socket, and Jack Base, and 17-inch Argent Pintler Wheels and you’ve got one machine that’s ready for just about everything you can think to throw at it – and maybe even a little bit more. And since it’s a powerful Wrangler Rubicon, you can expect all the off-road oomph that the 3.6-liter V6 engine can bring, including up to 285 horsepower and 260 lb.-ft of torque at an impressive 20 mpg highway fuel economy. That means more time enjoying the trail traversing days you so love and less time worried about when you’ll have to hit the pump next. For drivers looking for a little bit more from their already capable Rubicons, this lift package might be just the one you’ve been waiting for. So whether you’re a longtime off-roader or new to the high-powered Jeep life, experts like the ones here at Keene CDJR have seen and done just about all of it – and they’re more than willing to make your off-road Jeep dreams a reality. Check out some more of their past builds and see what’s in the shop right now and you might just be surprised to find exactly the Jeep you want – and it might even one you’ve never seen before.